How do I use the peer-to-peer fundraiser's toolkit? Within the first tab of your peer-to-peer (P2P) Fundraising Toolkit, you can tell the story of why you are a P2P fundraiser for this organization! 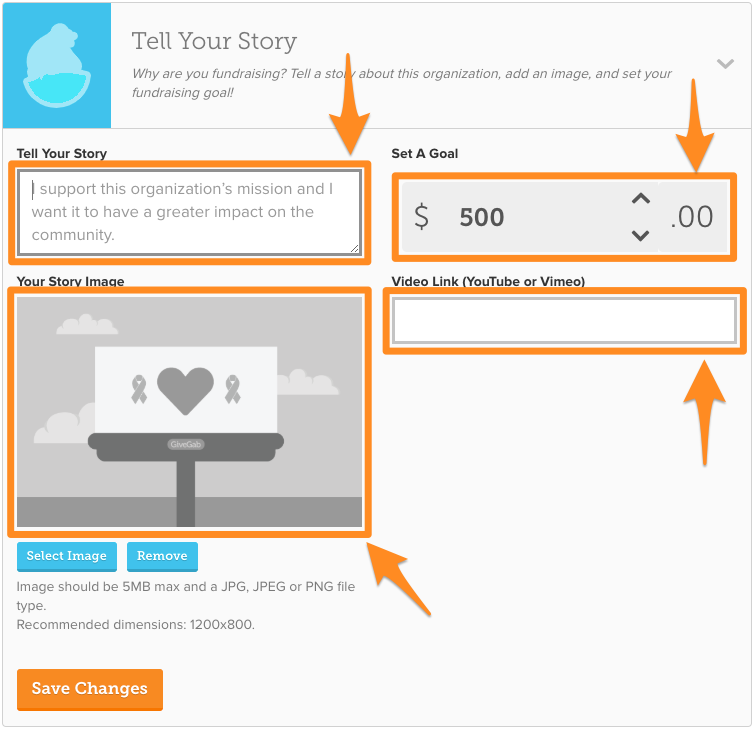 Here you can add your personal story, set a goal for yourself, upload a custom image, or even swap it out with a video link from YouTube or Vimeo. If you have both a custom image and a video link entered in, only the video will appear on your profile. Within the second tab of your P2P Fundraising Toolkit, you can add a seed donation to your campaign. Setting an example for other donors by donating shows you’re committed to the campaign so they should be too. Within the third tab of your P2P Fundraising Toolkit, you can send personalized emails in plain text to your friends and family asking for donations. You'll even have the option to upload your contacts from popular services such as Gmail or Yahoo Mail and send them an email right from this page! 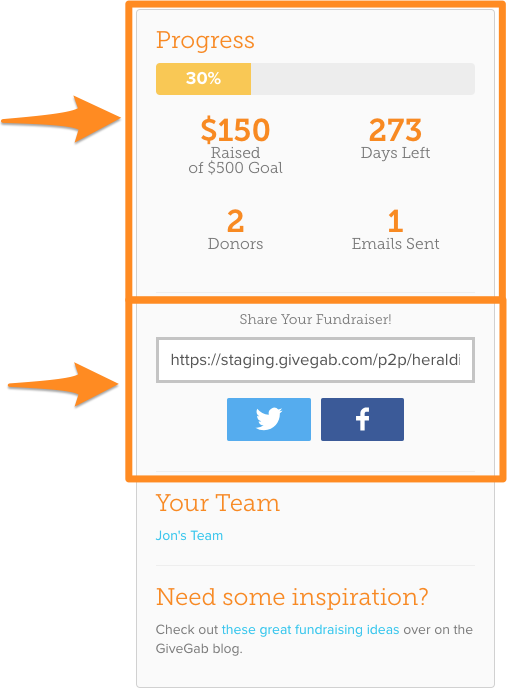 Within the fourth tab of your P2P Fundraising Toolkit, you can cast a wider net and share your page on Facebook, Twitter, or other Social Media sites with a direct link. Within the final tab of your P2P Fundraising Toolkit is one of the most important steps you'll need to complete as a P2P fundraiser - thanking your donors. Let your donors know how their contribution made an impact, by sending them an email right from this page or mark them as thanked if you showed your appreciation another way. To the right of your tabbed checklist is a progress box. Within this box you'll find a number of stats regarding your progress, a direct link to your P2P fundraising page, and social share buttons. The first section is the progress made towards your fundraising goal, information about how many donors you have, how many emails you've sent, and how many days are left in your fundraisers. If your P2P fundraiser is for a giving day, you will not be able to join or create a team and the option will not appear.